Display and organize appointments and recurring events in cross-platform apps. NOV Schedule for .NET is an advanced .NET schedule component for cross-platform application development. 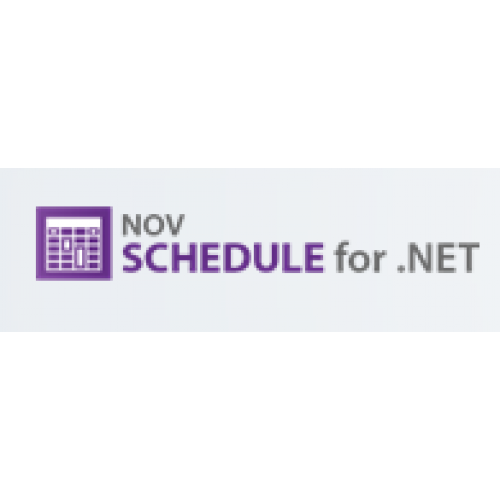 NOV Schedule provides all the features of Microsoft Outlook Calendar and Google Calendar plus many more such as support for multiple time zones, multi-level grouping, CSS like styling of appointments, headers, grid and time rulers, extended support for recurring appointments and events. Appointment categorization and different view modes. Multiple time zones and multi level grouping. Support for iCalendar Format (*.ics).